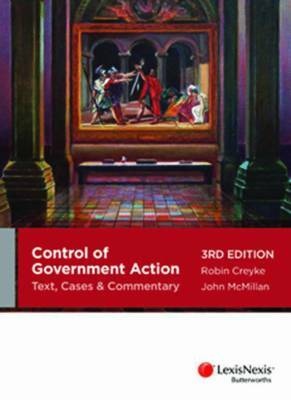 Control of Government Action: Text, Cases and Commentary provides comprehensive coverage of the legal controls on government decision-making in each Australian jurisdiction, supported by legislation, case extracts and commentary. Every chapter of this highly respected work has been revised for this edition to include important administrative law developments. These cases include: British American Tobacco Australia Services Ltd v Laurie, Habib v Commonwealth, Seiffert v Prisoners Review Board; Plaintiff M61/2010E v Commonwealth, Osland v Secretary to the Department of Justice, Tucker v Minister for Immigration & Citizenship.